Creating truly immersive experiences for theme parks and exhibits around the globe, this multi-armed company now has branding that unifies each of its group with an ultra-clean design and new, user-friendly website. See our new multi-company brand strategy and identity at work, which has also been utilized in all collateral and marketing materials. To kick-off ticket sales for the 2019 Arnold Palmer Invitational, our team designed the warm and inviting “Get Closer” campaign. Campaign elements included an email announcement, ticket designs, hospitality badges and holiday graphics–and we’re just getting started. Creative will ramp up even more in the upcoming year. 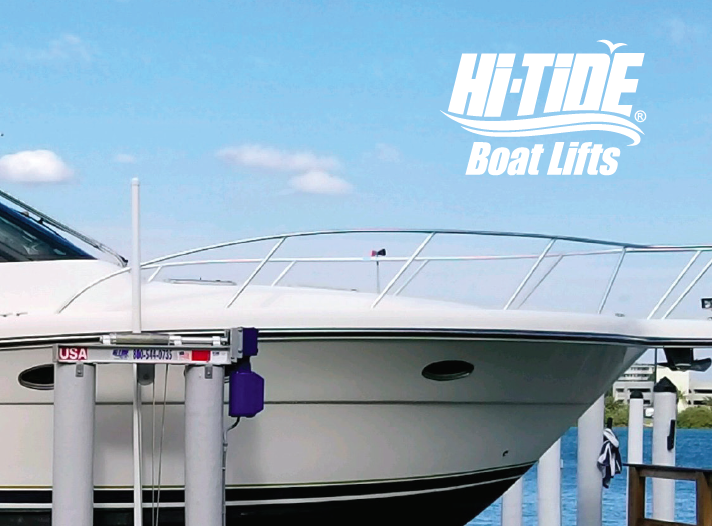 The nationally respected boat lift manufacturer now has a new product guide that features up-to-date information and visuals of their most popular products. Working alongside Hi-Tide’s website, this print piece helps inform consumers who are thinking about new, safer options for storing their vessels. We were proud to have designed and copy edited this piece, which is set to act as an educational and sales tool for years to come. 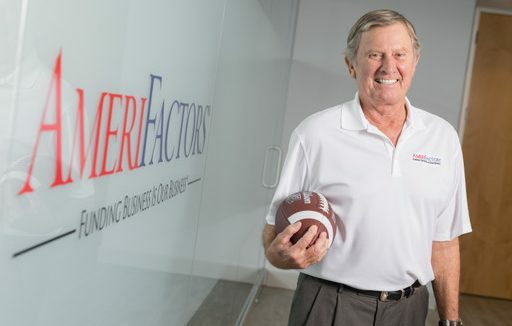 The beloved “Old Ball Coach” provided quite the endorsement via a radio, TV and digital campaign for trusted accounts receivable financing company, AmeriFactors. Just in time for football season, as well as preceding Coach Spurrier’s run as head coach for the new Alliance of American Football team, the Orlando Apollos, this endorsement was expertly timed by our creative team. What’s New at Findsome & Winmore? We’ve taken flight and touched down in a new, Winter Park office that provides room to grow and inspiration around every corner. But it isn’t official until we have a party. To appropriately mark the milestone of moving into our own office space, we are hosting friends and family to raise a glass to new adventures and a new home for our lofty ideas. Cheers! 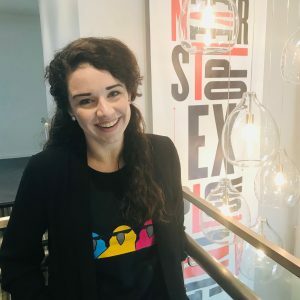 A whopping four new talents joined our ranks with the welcome addition of Jessica Hale, digital marketing manager, Jazmyn Reed, associate PR manager, Chris “Mac” McEntee, director of client services, and Ashley Willsey, art director. 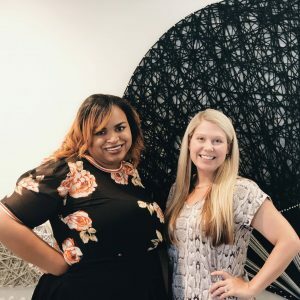 Jessica brings with her keen knowledge of digital marketing, while Jazmyn joins us with years of real-world experience in communications strategies. Mac, a knowledgeable digital marketing master with 15+ years of experience, and Ashley, an award-winning creative talent with deep roots in the theatre industry, round out the newest faces of our dream team. Welcome to the Findsome family! 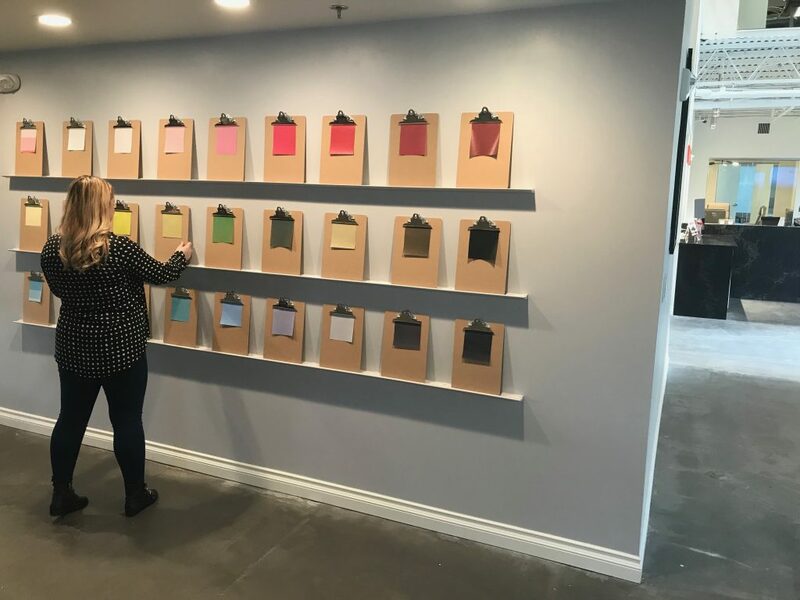 To brighten up our spiffy new office even more, we wanted the Findsome & Winmore team to be able to add a creative and personal touch to our workspace. Meet the clipboard collage wall. With a new theme every month (this one was “favorite color”), we will each clip a personalized pic that showcases our unique, diverse and creative team. 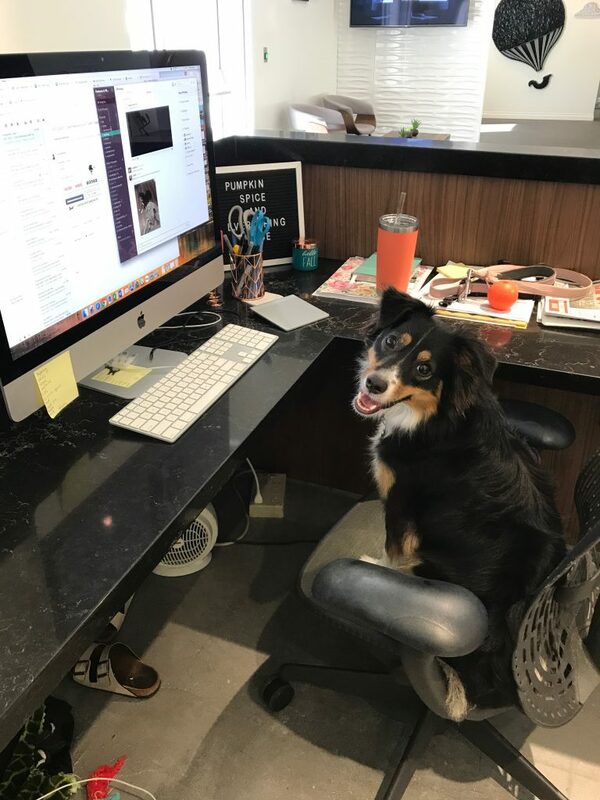 As a decidedly dog-friendly office, we love inviting some of our favorite four-legged friends to help us with important tasks such as dedicated tail wagging and treat eating. 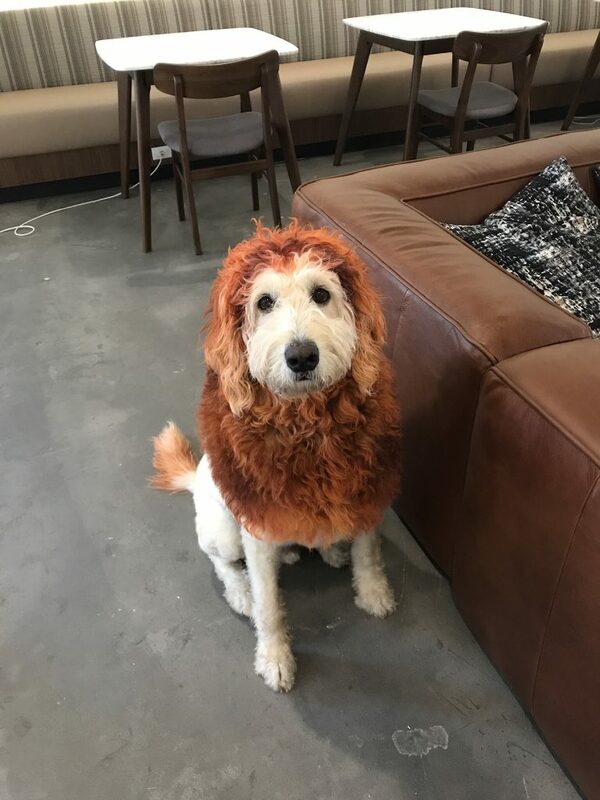 Rest assured, these fur babies are definitely all good boys and girls. Kid-sized, flimsy aluminum scooters, these are decidedly not. This company is poised to revolutionize the way we get around, bringing high-quality footbikes crafted in the Czech Republic and designed as a bicycle alternative sturdy enough for kids and adults of all sizes. With a specialty in helping entrepreneurs via a number of top-tier business, corporate, real estate, international and tax-related legal services, Watson Sloane Johnson PLLC is a well-respected, boutique business law firm with big firm experience and small firm values. 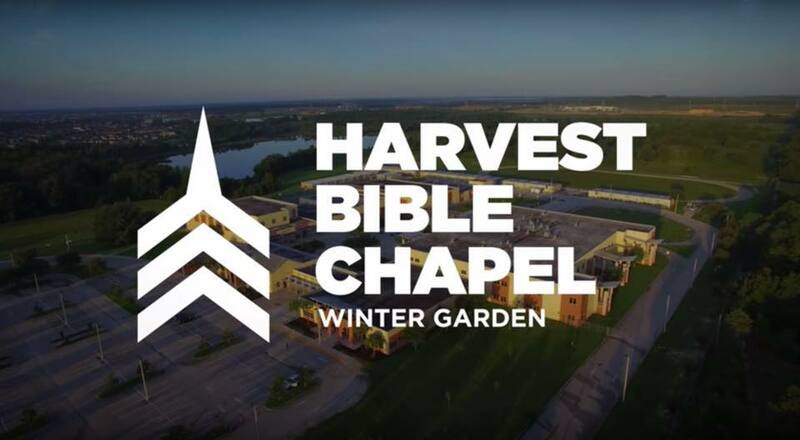 A contemporary church plant with a focused and devoted mission of faith and worship, the Harvest Bible Chapel Winter Garden provides a like-minded community of faithful and provides focused ministries, including small groups, men, women, students, kids, worship and soul care. 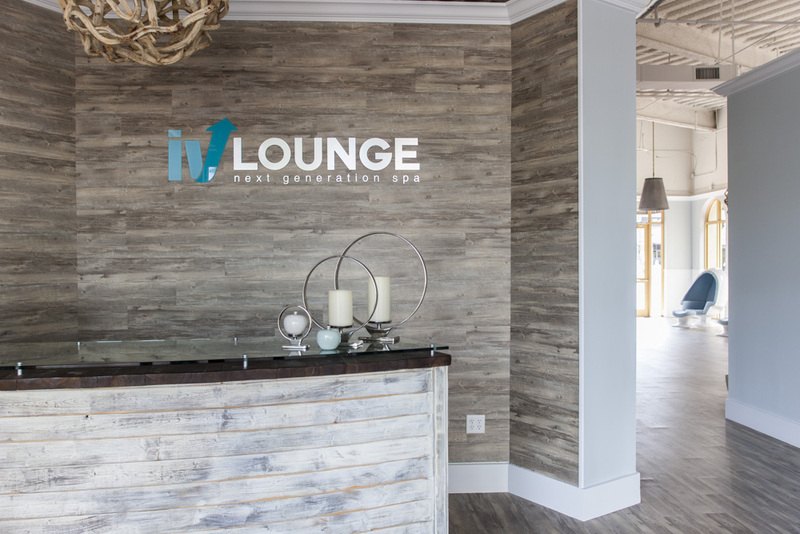 As a “the next generation spa,” IV Lounge provides a full suite of wellness services, including IV drips, IM shots, vaginal rejuvenation and the new, revolutionary stress-relieving technology, the ORRB. 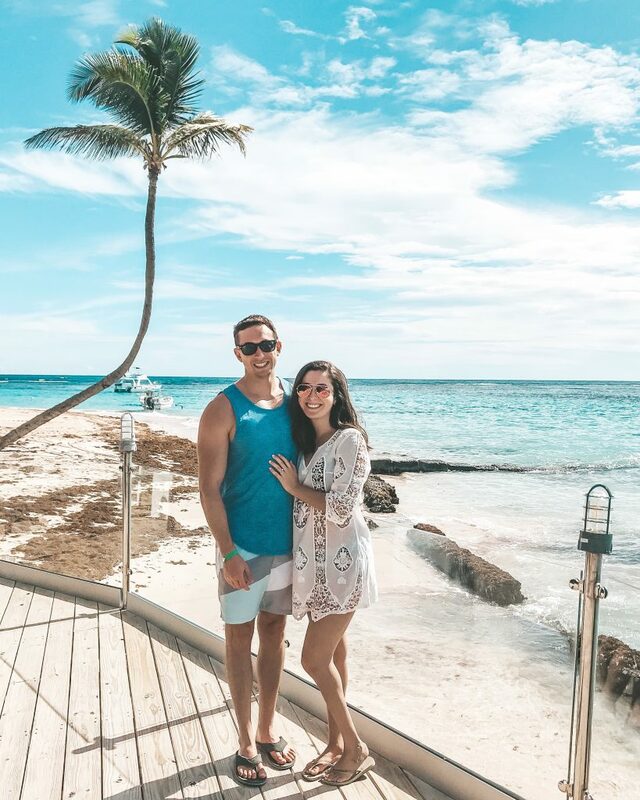 Daniella Monteiro, digital marketing manager, on her recent surprise engagement while on vacation in the Dominican Republic’s picturesque Punta Cana. Attention! It’s a word plastered on many a warning sign, meant to tell people, “Hey, this is important.” Oh, if only you could just slap one of those bad boys onto the header of a blog and call it a day. Keeping an audience’s attention is unfortunately far more complicated than that, especially with modern attention spans something like water in the Sahara–in desperate demand and more valuable than diamonds. So, how does a modern blogger keep the reader from drifting off to his or her Facebook feed or the next Netflix original series? Spoiler alert: it’s difficult. However, I have a few quick tips that will help keep your readers engaged. Lists: Meta, I know. Though often unfairly derided as a cheap “Buzzfeed” style that’s lacking in substance, lists make your article far easier to read. Not only breaking up what would otherwise be a wall of words, lists allow readers to scan your article for its main points and (hopefully) come back for more when they have the time. Visuals: Just like lists, images and videos can help break up your content into easily digestible sections. Imagery can also work as an attention grabber, keeping eyeballs on the page longer. Just ensure that you have the right to use the imagery within your blog post. K.I.S.S. : If you, like me, love creative writing, you may be tempted to craft deeply illustrative long-form content. That’s great, and can be an effective way of humanizing your brand or providing an informative deep dive on a concept, but always make sure you trim the fat on your content. If you can say it with fewer words, that’s often the way to go. Keep it simple. By implementing lists, adding vivid visuals and keeping it simple, you just may notice even the most scatterbrained of readers stick around and potentially even click through to more content. Though keeping a modern reader’s attention is an uphill battle, the written word is far from obsolete. These blog writing tips can be the finger snap your content needs to command your audience’s attention. To many in our office, coffee is the great nectar of the gods–a blessing that provides a much-needed jolt of energy to kickstart creativity and productivity at the start of the day. For those diehard coffee drinkers, it may be hard to believe that some people don’t even like coffee, let alone drink the stuff. That’s right. Some people prefer tea. With this in mind, it’s not surprising that Folgers executes a brand strategy that focuses on those who consider their first cup of coffee “the best part of waking up,” instead of wasting their time, energy and budget talking to the uninterested, committed tea drinkers. Understanding that concept, why do so many companies still insist on being everything for everyone? There is a very natural desire to sell to as wide an audience as possible and cast as wide a net as you can. It makes sense–a larger audience equals greater success, right? Unfortunately, it’s not quite that simple. 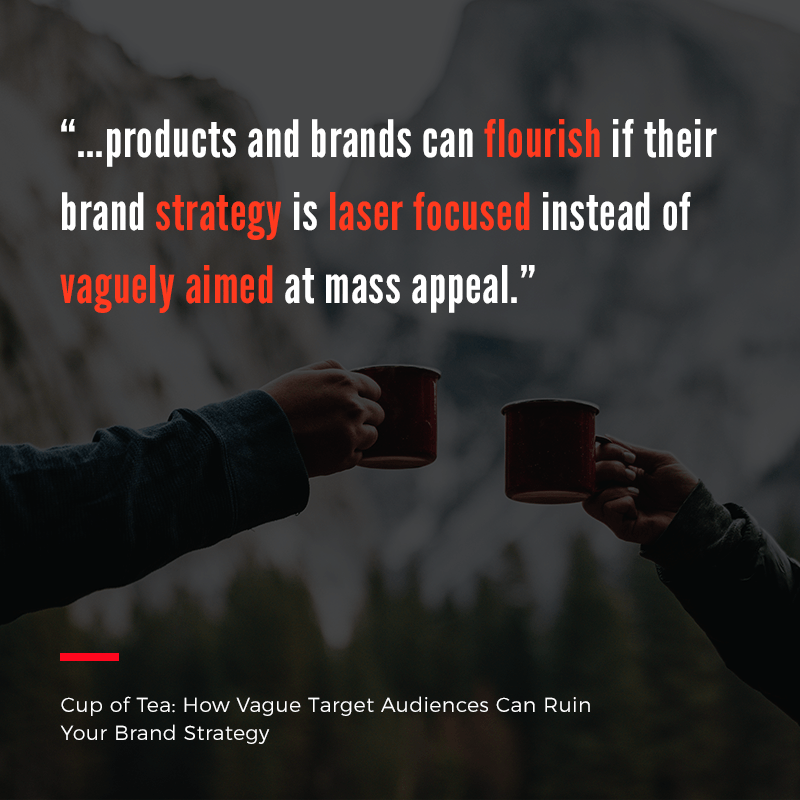 When writing my book, Formulaic: How Thriving Companies Market From the Core, I found one example of the opposite being true: an example that proves products and brands can flourish if their brand strategy is laser focused instead of vaguely aimed at mass appeal. For those who enjoy the sport of golf, Scotty Cameron is a name that resonates with respect. Maturing his childhood love of golf into an obsession of the game and the gear used to play it, Cameron focused on a singular goal: to build the best putter in golf. And he did just that, developing putters used to win 15 championships and tournaments that include the US Open and the Masters. What started as a childhood obsession is now a business that rakes in over $100 million in revenue annually and serves the likes of Tiger Woods and Jordan Spieth. But it’s not just the pros who flock to Cameron’s clubs. ZZ Top drummer and amateur golfer Frank Beard has a fully customized collection valued at $1.5 million. While Cameron’s clubs are obviously a big hit with his target audience, his putters are expressly not for everyone. Priced at nearly $400 (double the price of many others on the market), the potential audience for these clubs is instantly thinned out by the sticker shock alone. Yet Cameron continues to be successful. Why? More than just an inspiring story of dream fulfillment, Scotty Cameron is a case study on why doing one thing exceptionally well for a highly specific audience can be far more lucrative than a scattershot approach with no clear direction. Cameron’s putters aren’t made for the casual fan. They are crafted with passion and quality for people who share his love for the sport. “Naysayers said that we (don’t) need another putter maker, so I tried to be the best putter maker,” commented Cameron. Many outdoorsy activities require their enthusiasts to brave everything from extreme heat to frigid cold, downpouring rain to bone-dry conditions. There was a need for equipment that could weather the same conditions its users could and keep ice frozen or coffee hot. For YETI, this need translated into an opportunity. Now known at the name in coolers, tumblers and similar gear, YETI first began when brothers Ryan and Roy Seiders discovered this need for quality coolers firsthand while hunting and fishing. Assuming that other lovers of the great outdoors experience similar issues, the two ventured to solve this highly specific problem for a highly specific audience–people like themselves. Though priced at a premium, YETI products targeted the people who care about quality when it comes to a cooler. Through a product that lived up to its promises, word-of-mouth spread in the serious fishing, hunting and camping communities. This reputation, paired with engagement with outdoors enthusiast influencers, turned YETI into a genuine phenomenon in this highly specific target market. Eventually, word spread of the nearly magical qualities of YETI products to keep cold drinks cold and hot drinks hot (while taking a licking), opening it up to an even wider audience. Though now a mainstream brand, YETI’s wide success is largely due to the Seiders brothers’ laser-like focus and commitment to a singular market. 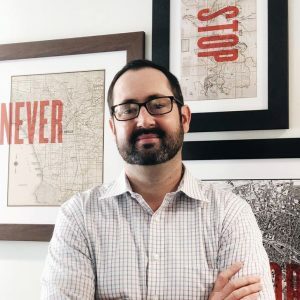 Like Scotty Cameron’s premium putters or the Seiders brothers’ top-tier YETI products, your brand strategy can carve out a niche by tightly focusing efforts on a specific audience. It is OK to be ignored by a large swath of people as long as you are beloved by a designated few: your target audience. Brands die in the middle. Pick a side and serve it better than anyone else. That’s what Scotty Cameron and the Seiders did and what may work for your company as well. It’s OK to not be everyone’s cup of tea. The magical silver bullet. Like unicorns and fairy dust, though it may be a pleasant concept to dream of, the legendary silver bullet that can solve all of your marketing strategy woes is just that–a thing of legend. So often, I come across business owners and marketing managers who understand this fact well enough, yet continue their search for this mythical one-stop fix to whatever ails their brand. Why? Well, it is certainly much easier to assume that if your branding only had X, it could finally break through to that elusive target audience or market. The hard truth is that the best brands do multiple things well in order to find success and become more than just a peddler of goods to their audiences. A marketing strategy is much more akin to a formula of different elements, combined to create an explosive mixture that sends your brand to the stratosphere. 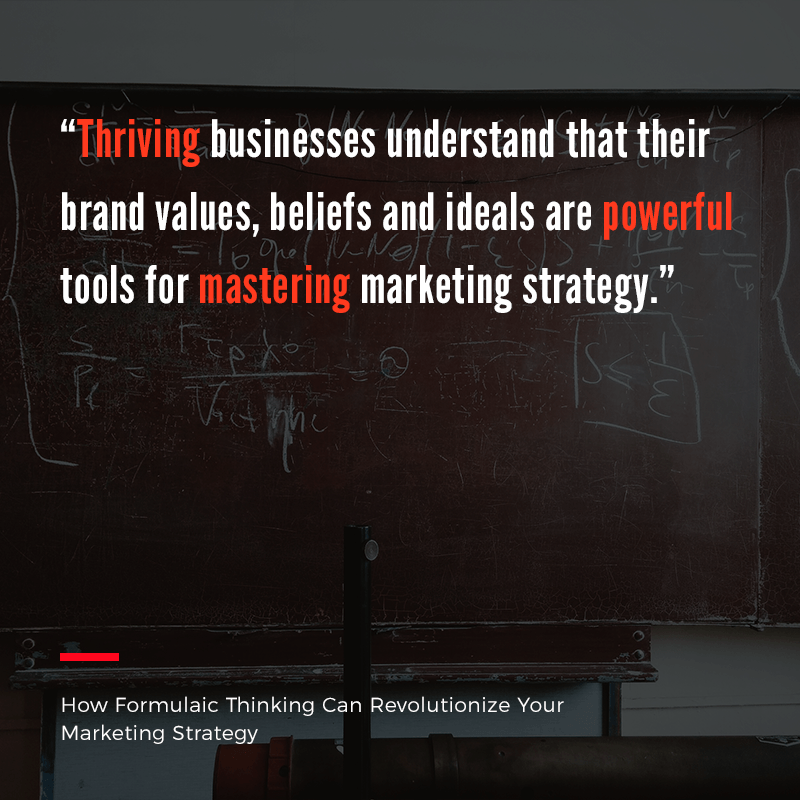 Thriving businesses understand that their brand values, beliefs and ideals are powerful tools for mastering marketing strategy. By asking yourself some pointed questions about your brand, you can come closer to identifying those elements and concocting the formula of success for your business. What Questions Should I Ask to Identify the Needs of My Marketing Strategy? How did you get here? Why was this business created in the first place? What decisions were made and why? What was the initial inspiration or passion that launched this endeavor and is it still what drives the company to this day? Thriving businesses are driven by well-considered decisions. What does your company value? Values are important. They often dictate everything from price to the product. Defining values can help you ensure that your marketing and brand as a whole is focused on facilitating and fulfilling that value and avoids muddying the water and losing its way. Successful businesses keep their eye on the ball. What is your brand’s story? Since the time of cavemen, people have huddled around a fire to listen to and tell stories. Why? Storytelling is an inherently human form of expression that works on an emotional level. If you don’t want your marketing to get lost in the advertising white noise, you have to leverage the power of storytelling in your marketing strategy. Saying your washing machine is the fastest on the market is not enough. You have to show how it helps a single dad tackle laundry faster than ever, so he has time to surprise his kids with his special homemade pizza after school. On a higher level, your brand’s story can help build interest and connect with customers in a far more intimate way than sticking to the facts alone. In fact, researchers have discovered that storytelling empirically improves message recall and fosters a feeling similar to kindness. That is truly powerful stuff. Who is your brand selling to? As most writers will tell you, knowing your audience is not only important–it is mandatory. Knowing your audience, who you serve, is the first step in any successful marketing strategy. From there, a marketer can shape tactics and tone to meet those people where they live and breathe with content they’re hungry to consume. If you’re not selling to a specific audience, you’re probably selling to no one.